The average cost of memory care in Douglas County is $4,931 per month. This is higher than the national median of $4,650. To help you with your search, browse the 2 reviews below for memory care facilities in Douglas County. On average, consumers rate memory care in Douglas County 4.0 out of 5 stars. Better rated regions include Johnson County with an average rating of 4.3 out of 5 stars. Douglas County is home to nearly 121,000 people and has a senior community that makes up almost 12 percent of the population. In this county, it's projected that about 10.8 percent of Medicare beneficiaries who are seniors have Alzheimer's disease or dementia, which is a little lower than the national average of 11.3 percent. Families seeking out memory care services in northeastern Kansas find five memory care facilities in Douglas County, including four facilities in the city of Lawrence and one in Baldwin City. Because the state does not license or certify dementia care units, memory care services are provided in assisted living facilities that have admission and discharge criteria in place to serve those with dementia. Douglas County seniors whose adjusted gross income is less than $75,000 do not pay state income tax on their Social Security income, and public pensions are not taxed at all. All other forms of retirement income are fully taxable. This may affect how much money can be put toward memory care expenses. The cost of living in Douglas County is on par with the national average, but healthcare is slightly more affordable here, with costs coming in about 3 percent below the state and national median. 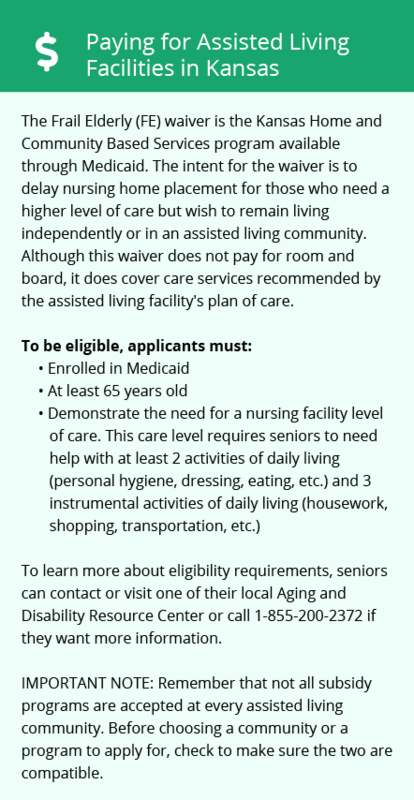 The county's relatively affordable medical costs may benefit seniors with chronic conditions like Alzheimer's disease. Crime is more prevalent in Douglas County, which may be a consideration for some families seeking memory care for loved ones. On a 100-point scale, with a higher score representing more crime, violent crime is rated 41, which is about 10 points higher than the national average, and property crime is rated 46.5, versus the national average of 38.1. Douglas County residents enjoy 212 sunny days annually and see just 92 days with measurable precipitation, and year-round temperatures range between 18 degrees and 86 degrees. The region gets 13 inches of snow annually, which is half the national average, which may make visiting memory care residents in winter easier for family members with mobility difficulties. Memory Care costs in Douglas County start around $4,931 per month on average, while the nationwide average cost of memory care is $4,798 per month. To see a list of free memory care resources in Douglas County, please visit our Assisted Living in Kansas page. 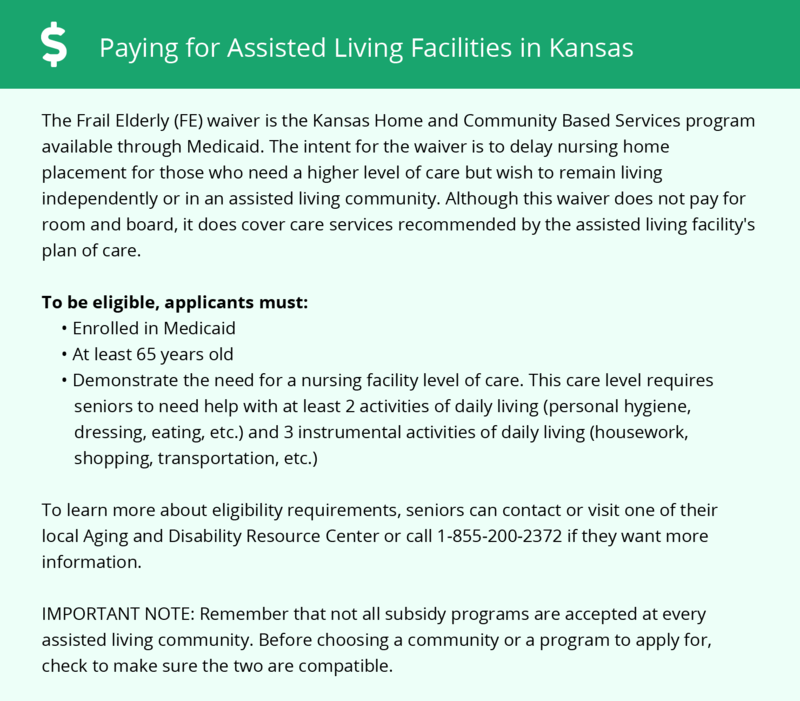 Douglas County-area assisted living communities must adhere to the comprehensive set of state laws and regulations that all assisted living communities in Kansas are required to follow. Visit our Memory Care in Kansas page for more information about these laws.